The Polyco Ingot Heatbeater Glass Mitten Safety Gloves 757 are modified glass mittens that provide exceptional resistance to heat with the ability to withstand contact temperatures of 500°C for up to 40 seconds. 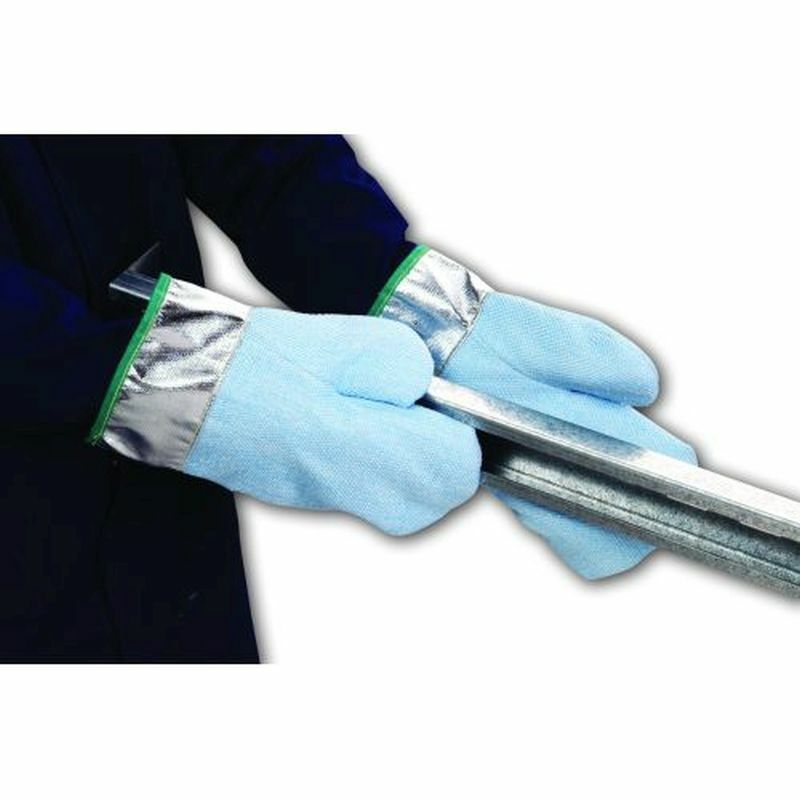 With an aluminised fabric glass cuff and the option to extend the glove to 66cm long, the Ingot Heatbeater Mittens offer outstanding levels of protection against heat. Ideal for glass manufacturing and foundry work. Contact Temperature Time: 500°C for 40 seconds. The product is available in one universal size but in two different lengths dependent on how much protection is needed: 45cm and 65cm lengths.